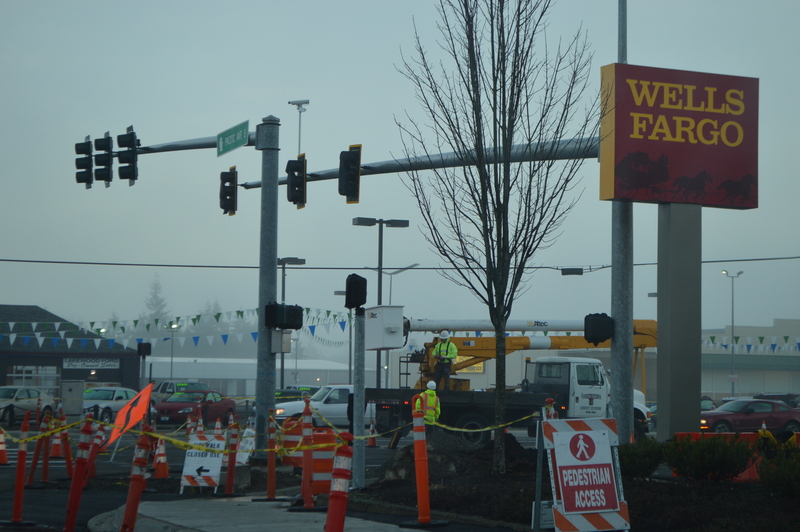 PARKLAND, WA — You may have been noticing the construction around 112th Street and Pacific Avenue in Parkland lately. In the course of the changes in the underground utilities and the sidewalk disruption, several cameras appeared at the intersection. First, on the northbound lanes of Pacific; now, facing the eastbound lanes of 112th Street. Our first email to the Washington State Department of Transportation resulted in a complete denial, but that was when we refered to them as traffic cameras. A phone call netted better results. You cannot call them cameras, you have to call them traffic sensors. They are the same as those big plates that used to be underneath the roadbed sensing cars stacking up for the signal. They also sense the emergency vehicles passing through. Now the sensors are mounted on the bar with the signal light itself. Apparently it is far more cost effective because they don’t require digging up the roadway to repair and don’t have to be repaired when the roadway is being disrupted. There are no red light traffic cameras in the unincorporated county, but do watch yourself in Tacoma on Pacific and 72nd. Next Post Feb 6-8 Ice Show!